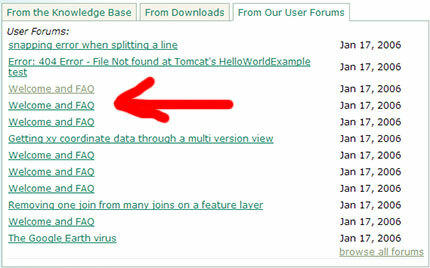 Even if you aren’t a member, you can see the thread titles by selecting “From Our User Forums” on the ESRI Support Homepage. I’m assuming this will get resolved soon so enjoy it while you can. Also there are some more 9.2 Beta documents posted up on the ESRI Beta site. Glad to see the ArcGIS Server section has some documentation and examples. I’m still looking out for the media, maybe sometime soon.